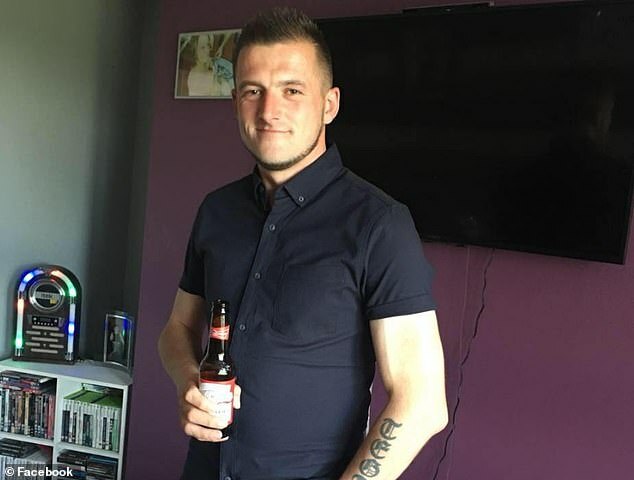 A man who struggled to even swallow water but was told it was down to anxiety died just three weeks after finally being diagnosed with throat cancer. Ryan Greenan, 35, was allegedly told he was too young to have cancer and dismissed by doctors who thought he had a reflux issue. But less than four months after he first went to the doctor, he died of oesophageal cancer because the illness had been left too long and spread through his body. 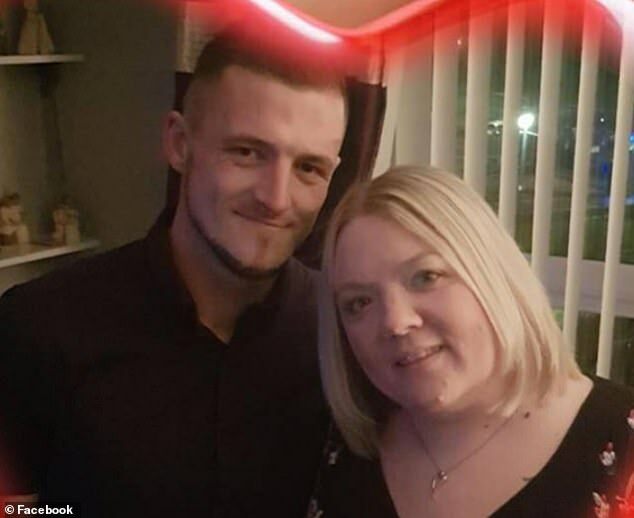 He had proposed to his partner, Natasha, shortly before finding out he was ill, but quickly declined, losing 2st (12kg) in two weeks while in hospital. Mr Greenan’s family now want to raise awareness about oesophageal cancer and warn that it can affect young people. A father to two daughters, aged eight and 11, Mr Greenan worked as a carer and first went to see a doctor in September 2018 with difficulty eating and drinking. His GP thought the problem may have been caused by anxiety, and is not thought to have done further investigations. But weeks later – in December – Mr Greenan, from Wester Hailes in Edinburgh, collapsed at work. After this, medics discovered for the first time cancer which had started in his throat and spread to his lungs and liver. He died in January this year. ‘I’m just absolutely destroyed. I’m so angry,’ his sister, Kerry Greenan, told the Edinburgh Evening News. ‘If they had caught it earlier, my big brother would still be here today. ‘If it had been picked up earlier, they could have operated, they could have given him chemotherapy. Oesophageal cancer is most common in people in their 60s and 70s, and affects the tube in the throat through which food travels to the stomach. It can be treated with surgery, chemo or radiotherapy if caught early, but often is incurable if caught late. There are around 9,000 new cases each year in the UK and only 15 per cent of people – one in six – are still alive five years after their diagnosis. Ms Greenan is now warning people not to take one doctor’s word for it if they’re certain something’s wrong, and urging doctors not to rule out cancer in younger people. She said: ‘When Ryan first went to the doctor, he was told it was anxiety and that he was too young for it to be cancer because he was only 35. ‘He just took that as his diagnosis and didn’t go back because the general advice was that oesophageal cancer only really affected older people. Ms Greenan said people should seek a second opinion if they aren’t happy with their doctor’s diagnosis and are concerned something is seriously wrong. A JustGiving page raised around £1,100 to contribute to Mr Greenan’s funeral. Cancer of the oesophagus, or gullet, is curable but in most cases the outlook is poor. The cancer, which arises in the lining of the gullet, mostly affects people over the age of 60. It has the effect of narrowing the gullet – the tube which runs between the back of the throat and the stomach – making it difficult to swallow. The disease is particularly common in some parts of Africa and China where it may be related to local diet or the way food is cooked. In the West, important risk factors are cigarette smoking and alcohol consumption. A combination of the two appears to increase the risk. Surgery is the most common treatment for cancer of the oesophagus in the UK, particularly if the disease has not spread. Radiotherapy and chemotherapy is also used in some patients, and new treatments such as photodynamic therapy, which uses light-activated chemicals, are being investigated. Sometimes a tube is inserted into the gullet to relieve difficulties in swallowing.